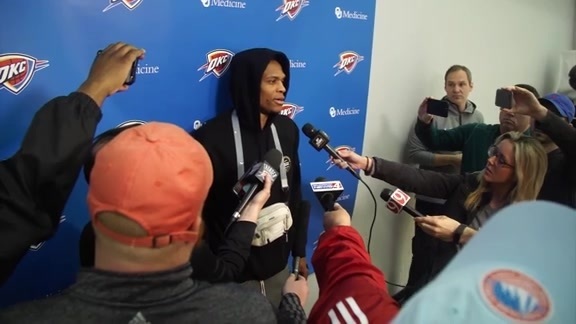 The most important part of solving a problem is identifying it, and for the Thunder its success has come from being clear about its opponents strengths and weaknesses, taking them at face value rather than valuing the faces and names on the team. The Thunder has done better recently against the types of teams that have given it problems earlier in the season, sub-.500 clubs who have snuck up to get wins against Oklahoma City. One such team is the Brooklyn Nets, who defeated the Thunder down in Mexico City in December. As the Thunder prepares for the rematch with Brooklyn, Head Coach Billy Donovan is getting his team to focus on what the Nets do well. In addition to ranking second in the NBA with 34.0 three-pointers attempted per game, Brooklyn plays at the fifth highest pace in the league. The Thunder can do itself some favors by playing with the same level of execution and pace that it brought to the floor against the Cavaliers, when it hung a ridiculous 148 points on the board. Donovan explained that for the Thunder, it’s less about the analytics version of the term “pace”, which means number of possessions per 48 minutes, and more about the speed, quickness and precision with which the team runs its offense. When the Thunder offense plays with tempo like that in its offensive sets, that often puts the team in position to get offensive rebounds because the defense is out of position. Over the past three games, the Thunder has been absolutely dominant in that regard, racking up an average of 18.3 offensive rebounds per game. “We’re a different team when we're controlling the paint and controlling the boards,” Anthony said. During that same stretch, the Thunder has outrebounded each of its three opponents by more than 20. While Steven Adams is the Thunder’s offensive rebounding leader at 5.0 per game, he’s actually averaging 3.8 defensive boards per game – an anomaly in the NBA. That works out for the Thunder though. Adams does the dirty work of boxing out, leaving defensive boards to Anthony, Paul George and Russell Westbrook. Those playmakers can then immediately push the ball up court and initiate offense. 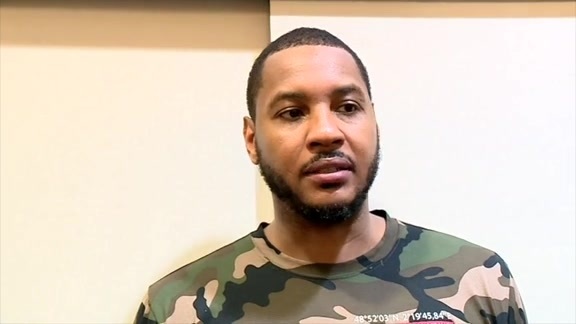 - One of the reasons why Anthony’s rebounding has been a strength this season is because of the internal accountability that the team has, and the standards he has for himself. The film room is always what provides the most honest reflection of what is really happening in games, so Anthony’s motivation is not only that he wants to help clean the glass, but also doesn’t want to be the one letting the team down. - For Adams, it hasn’t just been the offensive rebounds that he’s picking up and the second chance points he creates, but also the fouls that he draws. Against the Lakers last week, Adams drew six fouls all by himself attacking the offensive glass. That not only gives the Thunder free throws, but also helps rack up team fouls against the opposition. 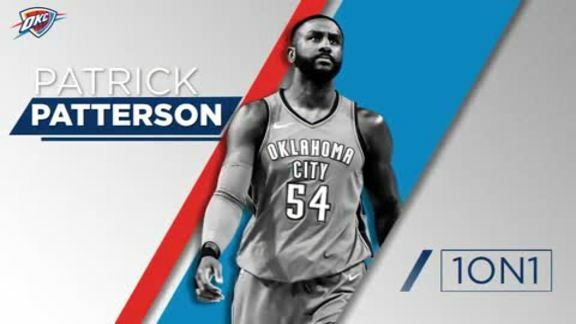 - Since the Thunder’s game two Saturday’s ago in Charlotte, forward Patrick Patterson has made at least one three-pointer in his last four games, making him 7-for-13 from three during that stretch. Against both the Lakers and Cavaliers, the playmaking forward also picked up two assists in each game, showing that his offensive versatility is continuing to grow with his increased health and comfort. “He’s a promoter of ball movement, he knows that we’ve gotta do that,” Donovan said. “We have done a good job collectively as a group of finding him when he’s been open and creating some shots for him,” Donovan added. - With Patterson playing the role of stretch power forward for the Thunder’s second unit, it’s been Jerami Grant whose role has changed most out of the reserves. After playing alongside Enes Kanter as the power forward last year, Grant is the Thunder’s backup center this season. Playing as a roll man on offense and rim protector on defense, Grant has displayed his skills as a finisher and shot blocker. The key for Grant moving forward is to continue making the right pass at the right time when help side defenders come over to block his pathway to the rim. Against Cleveland, there were a couple of opportunities where Grant could have made one extra pass out to the perimeter, and that’s something he and the coaches looked at heading into the Brooklyn game.